You’re at work and it’s about time to go home. Unfortunately you realize that you’re just about to get to YOUR to-do list. You suddenly realize that time has gotten away and you spent the majority of your day putting out other people’s fires. Its happened to all of us, and will continue unless we take control of our day. We’ve all wondered where did the time go. We worked hard all day but felt there was little to show for it. Maybe it’s time to admit that you need to manage your time better. 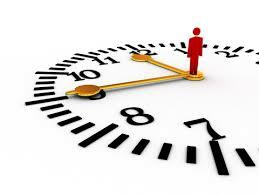 When we becomebetter time managers the benefits are almost endless. Recently I ran across 10 Tips for better time management at entrepreneur.com. Take five minutes before every call and task to decide what result you want to attain. This will help you know what success looks like before you start. And it will also slow time down. Take five minutes after each call and activity to determine whether your desired result was achieved. If not, what was missing? How do you put what’s missing in your next call or activity? Remember that it’s impossible to get everything done. Also remember that odds are good that 20 percent of your thoughts, conversations and activities produce 80 percent of your results.